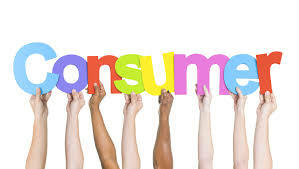 Despite your best intentions, is it possible you at times that you irritate consumers? More so, even your own customers? Running your own business does entail many responsibilities. One of those responsibilities is making sure you have the right amount of outreach to the public. If you don’t provide enough outreach to some consumers, they may feel as if you’re not all that interested in them. On the other side of the coin, being too aggressive can backfire on you too. When it comes to being too aggressive, do your best to avoid this at all costs. Keep in mind that going after new customers takes the right time and approach. Some consumers may crack and do business with you. Others, meantime, will ignore you altogether. In fact, some might even tell family and friends to steer clear of you too. So that you find the right mix of marketing and advertising, take time to determine what your goals are. From there, you should be able to proceed. First, what are your goals with both new and current customers? Knowing the road you want to travel down with them is key. If you are in search of making sale after sale, don’t avoid surprise if some customers bail at a point and time. Yes, you’re in business to make money, but you also have to show your customers you care about them. · Specials – What customer doesn’t like getting a deal here and there? Without hurting your bottom line, oftentimes make those specials available. · Inquiries – One of the best ways to find what customers want is by asking them. Whether in-person or via surveys, know what makes them most excited to do business with you. · Competitors – Look to see how your competitors treat their customers. You might very well learn a thing or two along the way. Reaching out to current and potential customers is fine. What is not good is overdoing it to the point where you drive them away. For instance, calling them over and over again oftentimes becomes a problem. Not only can you likely lose their business, but you may get reported for excessive calls. One way consumers might find you if you do not identify your business is to proceed with a phone number lookup. If discovered, your business could get a bad reputation. The same holds true if you are seeking payment from a customer. Be sure to handle it the proper way, steering clear of threats and the like. If you can’t get that payment you seek, turn the matter over to a collection agency. Want to avoid another way to be a nuisance to customers? Do your best to steer clear of always raising your prices. When you do raise them, be able to support why you have done so. Yes, you are in business to make money. That said many of your customers are likely watching their dollars. As such, they can’t afford to have you always spiking their prices when money management is so crucial to them. Look to see what your nearest competitors set their prices at. In doing so, you can get a better idea if your prices are in line with others. Offering specials when you get the chance is a great means to keep customers around. As a business owner, how do you avoid being a nuisance to your customers? Dave Thomas writes for a variety of websites on topics such as human resources and running a small business.